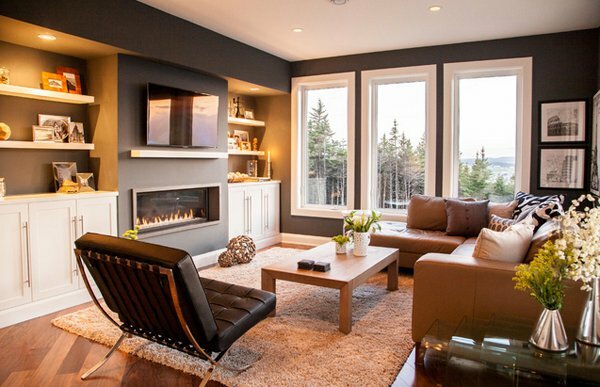 Picking the right living room paint ideas for your homes may sometimes need great effort – both in conceptualizing and having things done. For our list today we will be showing you some photos of how you can make your homes look brighter, or wider or even create an illusion of being spacious. Doing the things we can see here may entail great deal of planning, but when done the right way, we are pretty sure that the rewards you will reap will be a fascinating home. The 15 Interesting Living Room Paint Ideas are intended for us to learn and get inspiration from. 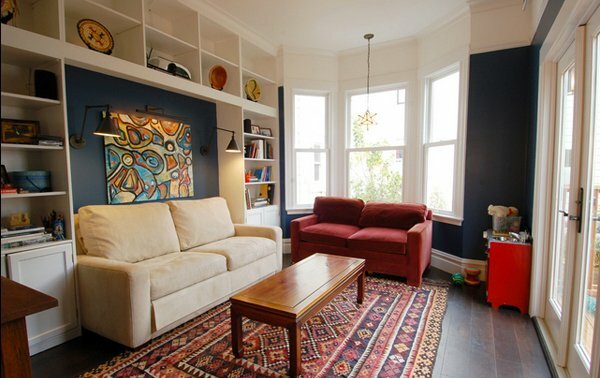 All the rooms that we will show you are painted plainly and color blocking is evident in most of them too. You will notice that adding the right decor or furniture will make your room prettier than ever. Have fun reading! 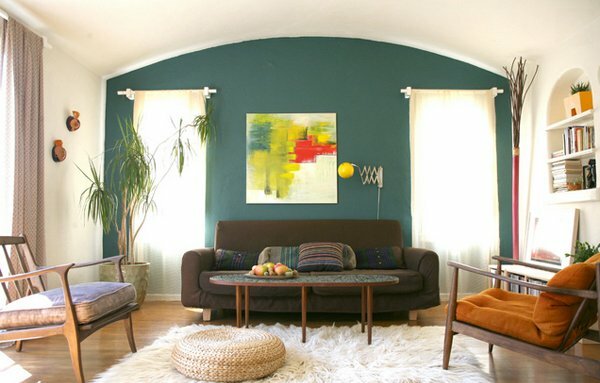 The colors that were used in this living room are easy in the eyes. 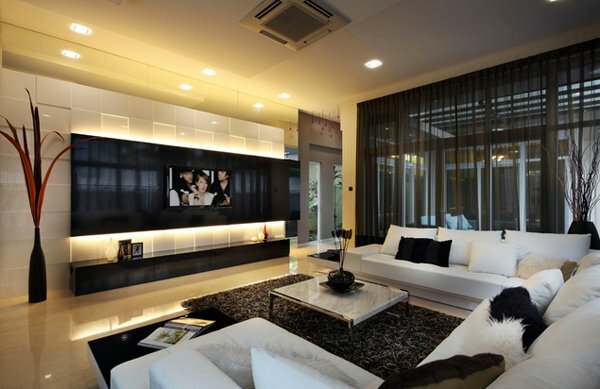 The colors blend well with each other and the furniture and decors in the space sure complements one another. One look on the walls and you know how playful the owner of the house is. 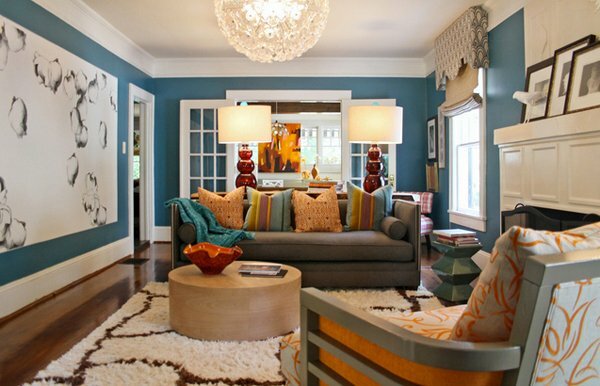 The color palette used sure brightens the room and gives a refreshing look to the entire room. 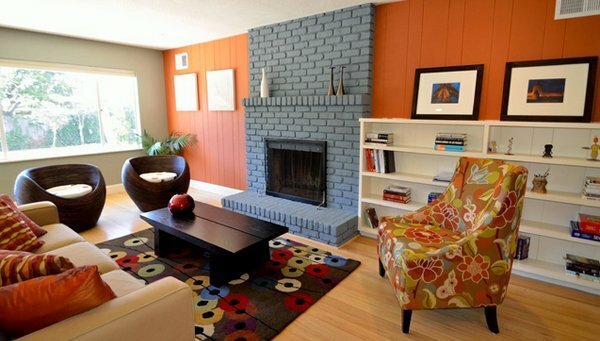 The plain walls are complemented with the colorful area carpet. This small living room is magnified because of the fewer furniture items used in it. 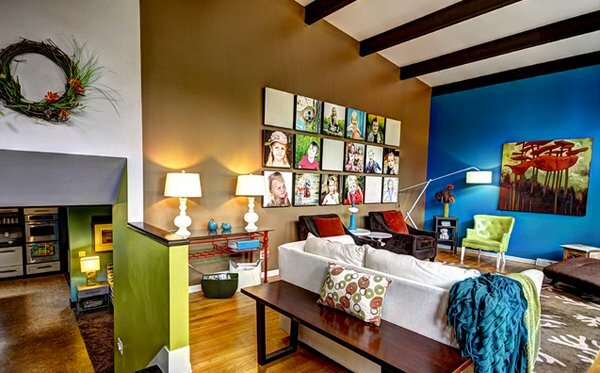 The blue wall makes the room less drab because of the painting hung in it. Even in times when striped walls or wall papers are widely used, some home owners still like painting their walls with plain colors. 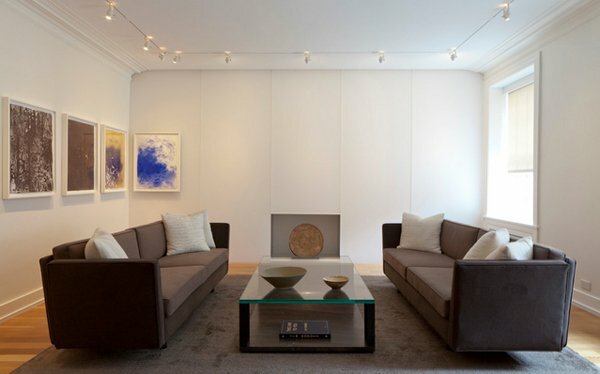 This living room is an example of a plain painted wall and is immortalized by the painting, the area carpet and almost everything inside the space. The use of entirely different colors in just one space is a brave thing to do since we always have to make sure that each color that will be used is complementary to the other. In this case, we can see all that in one space. Different colored walls, but definitely complementing one another! 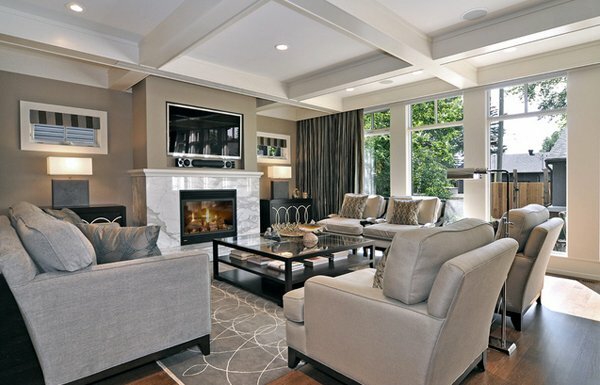 This modern family room is practically composed of neutral colors like greys and browns which is interesting because it is non-sexist and really its beauty will never cease to age. White is a favorite color for most home owners. It matches anything you pair it with and will always be in style. 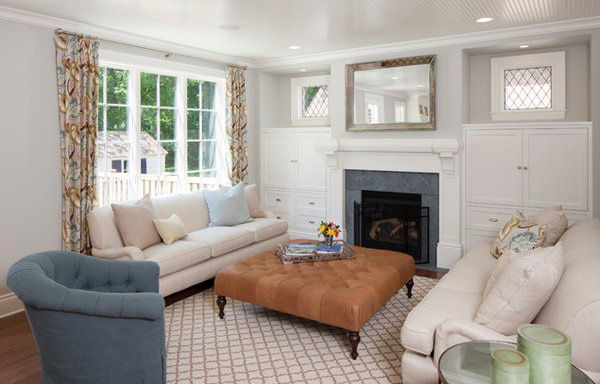 This living room was painted grey and was matched with grey colored furniture which is a safe color. Adding the printed area carpet created drama in this almost all-grey room! 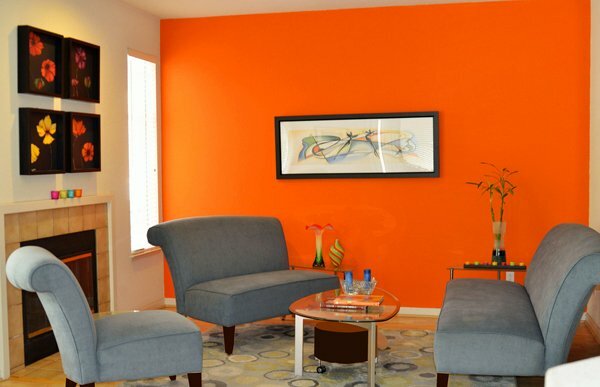 So much for orange being the accent color of this living room. Very striking than using red for the walls. Using grey furniture made the color more stand out. This sunroom looks really stunning with the all-wood walls and exposed ceiling. The use of the color green and brown blinds made this room more closer to nature than it already is. Here is another example where the accent wall was colored green instead of the common “red”. The use of unique colored furniture added the eclectic thrill to it. We love how this wall was painted blue green and stands out since it is surrounded with white walls and white ceilings. 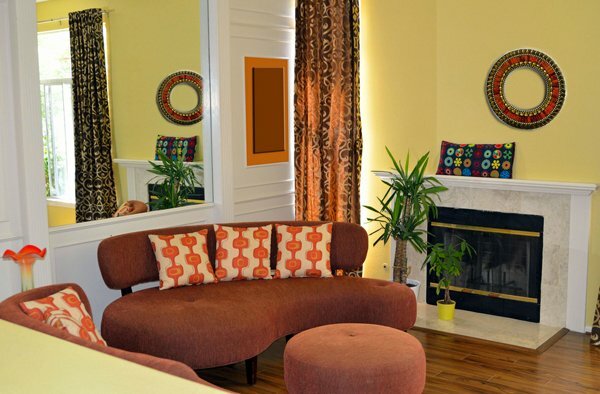 The eclectic furniture made this room more interesting and fun! Shabby chic living rooms are usually colored white or grey since they make rooms look clean and wider! Black and white may be our favorite in terms of design because it matches anything we pair it with. It looks classy and super sophisticated! The light yellow color of the walls gives this room a lighter and brighter feel and makes anything attached to it stand out. 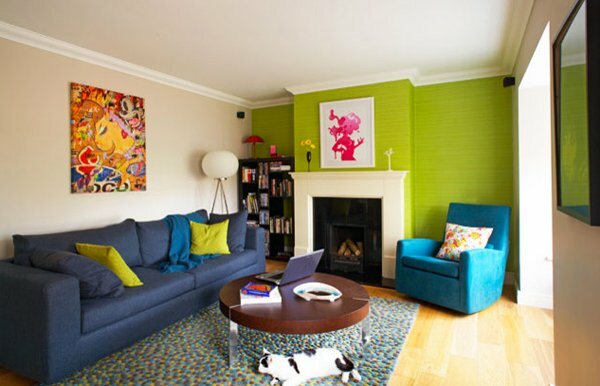 That was our list of 15 Interesting Living Room Paint Ideas which you can use for your very homes! One tip that we can share is that always use something easy in the eyes, because sooner than later, you will be switching paint colors again and again. 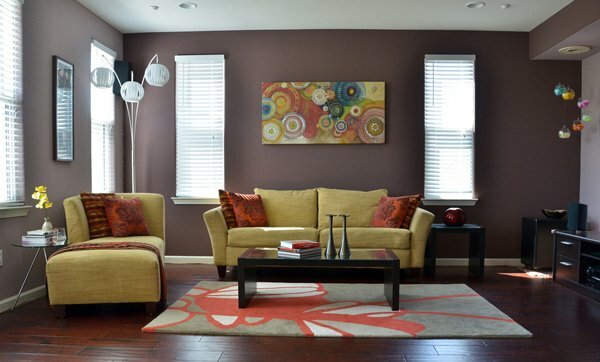 Find that one color schemes for living rooms that you know you will love to see every day! More to come here in Home Design Lover! All colours are nice, wishing you all the best.